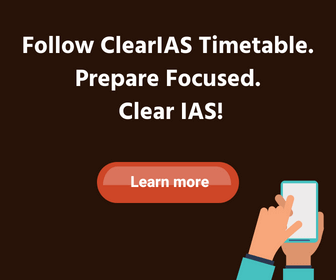 ClearIAS Interview Program – Boost Your Marks in the UPSC Civil Services Personality Test! Have you crossed the UPSC Prelims and Mains hurdles this year successfully? It’s time to join the ClearIAS UPSC Civil Services Interview Program. ClearIAS Interview Program is for those who cleared UPSC Civil Services Main Exam this year. However, some components of the program like eBooks (PDF) can be accessed by anyone, irrespective of the date. The final 275 marks – the UPSC Interview performance – may decide your future. Maximize Your Personality Test Marks! What’s included in the ClearIAS Interview Program? One-to-one telephonic mock interviews (for selected candidates based on time available). Once the ClearIAS Interview Program begins (after Mains results are announced), you can request for a DAF analysis. You need to register in this link and upload your DAF. Our team will prepare 30 most probable questions that may be asked in the UPSC interview. Questions will be based on the details mentioned in your Detailed Application Form (DAF). Those interested in having a personalized session with experts from ClearIAS Team can use this facility. We can provide one-to-one interactions/telephonic mock interviews. But due to lack of time, slots can be given only to selected candidates. Interested candidates can indicate their preference for telephonic mock interviews in the form we share. Note: You may note that ClearIAS Interview program is only for those who have cleared UPSC CSE Mains exam in the current year. If the number of candidates who register is high, the delivery of services will depend on the availability of time of our team. Thank you for your support and understanding. All the best!